Travelling with injuries is no joke! 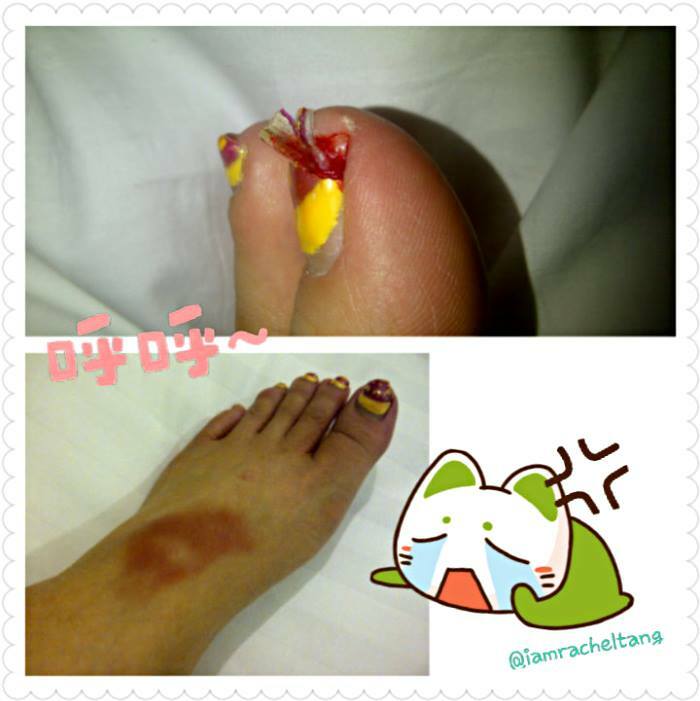 Fell & hurt myself on the last night in Ukraine TT "
It wasn't funny travelling round the globe with an injured arm & leg~! Pain ~!! But ~ ~ I posted this picture on Facebook and received a lot of well Wishes and love from my students. I am happy to know so many People Care! Do not worry! Now I am better ~ just the arm & Wrist pain still. .. I would try see "bone-doctor" next week after our Diploma Exam this Sunday.